To view 44 more pictures, interactive maps and the full, detailed description of the Ashville Park community, please Login. Ashville Park residents can live the resort lifestyle in their new homes. 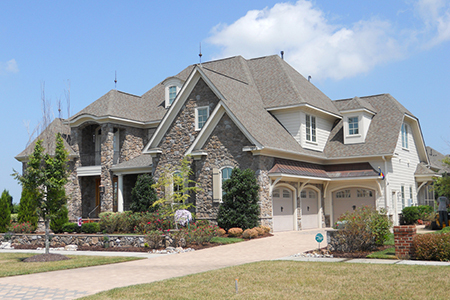 Real estate doesn’t get much better than this picturesque development of new construction homes. This community, located in Virginia Beach, is within close driving distance to military bases such as Joint Expeditionary Base Little Creek-Fort Story, NOB and NAS Oceana. It is also nearby the Princess Anne Municipal Complex. Ashville Park is a testament to its builder. There’s so many things that make these houses homes for lucky homebuyers. The best of nature combines with the best in new construction homes to give residents a peaceful retreat away from the hustle and bustle. Yet, new homes in Ashville Park are still minutes away from world-class restaurants, nightlife and shopping in Virginia Beach. Ranging in size from 2,700 to over 4,000 square feet, these new homes are built to take full advantage of the Atlantic breeze with their front porches. And speaking of the Atlantic, this real estate development is so close to one of East Coast’s jewels, Sandbridge Beach, Virginia. Water enthusiasts can Jet Ski, surf, swim, skimboard, boogie board and scuba dive. After a day of saltwater fishing, those fresh catches can be grilled on stainless grills in the backyards of these new homes. The Intracoastal Waterway welcomes boating enthusiasts to take a spin. Shell collectors and beachcombers will adore the close proximity to this fun destination as well. New construction homes don’t always come with such an inviting lifestyle package like Ashville Park. This place seems to offer so many rewards for those who purchase in this community. Nearby Hell’s Point Golf Course makes golfing a viable option for those residing in this part of VA. This championship golf course features Back Bay National Wildlife Refuge as a scenic backdrop. When searching the area for new homes through Hampton Roads real estate, come see why this community is for you. Ashville Park is more than just a bunch of new construction homes; it’s a lifestyle and you deserve it. Send me more information about the Ashville Park new home community. Our agents gladly offer FREE property tours of Ashville Park, Virginia Beach and homebuyer consultations to all serious buyers.